Spyware Terminator | DuncsWeb » Technology, Freebies, Gaming, YouTube. 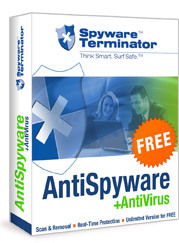 Spyware Terminator is a FREE, easy-to-use and effective spyware remover providing real-time protection against spyware, adware, keyloggers, trojan horses, browser hijackers and other malware threats. Spyware Terminator protects your computer through powerful real-time protection shield, advanced system scanning and keeping found spyware in the safe quarantine. 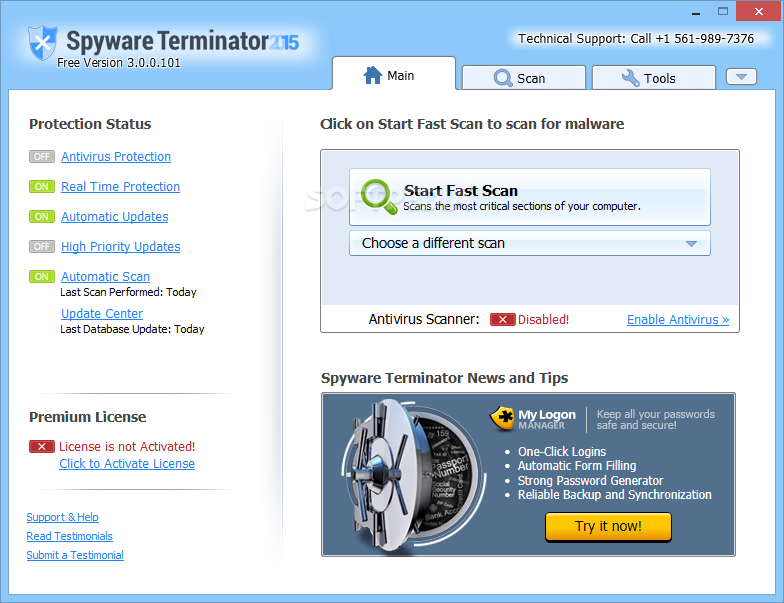 Spyware Terminator monitors your computer for both known and unknown spyware. The known spyware can be detected and identified during the scan, the unknown spyware can be detected but it cannot be identified immediately. After you send it to Crawler Spyware Central for further analysis, it can be identified and correctly removed or moved to Quarantine. , the spyware database is updated regularly at Crawler Spyware Central to provide you with continuous protection. Spyware scanning is used on a manual basis (on-demand scanning) as well as on a scheduled basis using the spyware scheduler to perform full system scans to locate and remove unwanted spyware threats. Spyware scans perform in-depth scans of your computer's hard drives, memory, process, and registry to seek out and remove any and all known and unknown spyware threats. 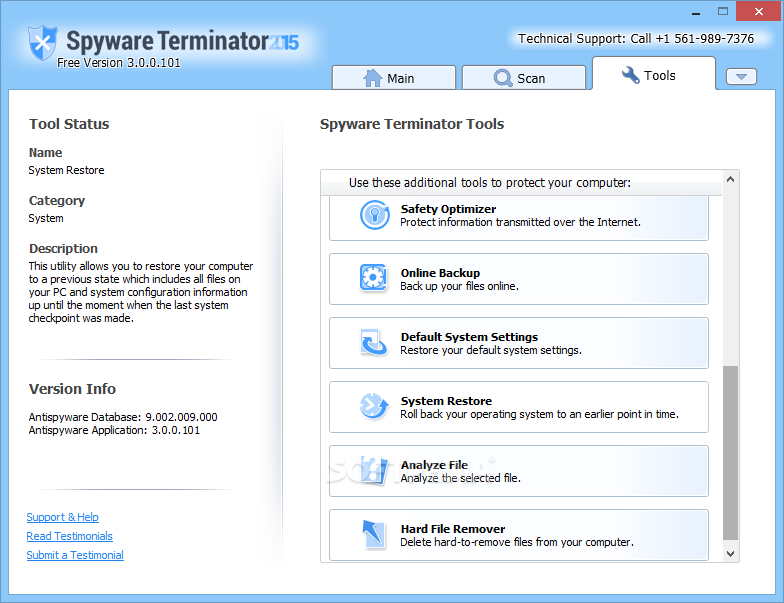 Free 100% Real-Time Protection is included in Spyware Terminator basic version – an essential function most other applications charge you extra for. Effectively remove spyware, adware, trojans, keyloggers, home page hijackers and other malware threats. Suspect files found during the scan are moved into Quarantine. Spyware Terminator prevents them from functioning and causing further damage to your computer. You can review and choose to permanently remove suspect files or safely store essential files. 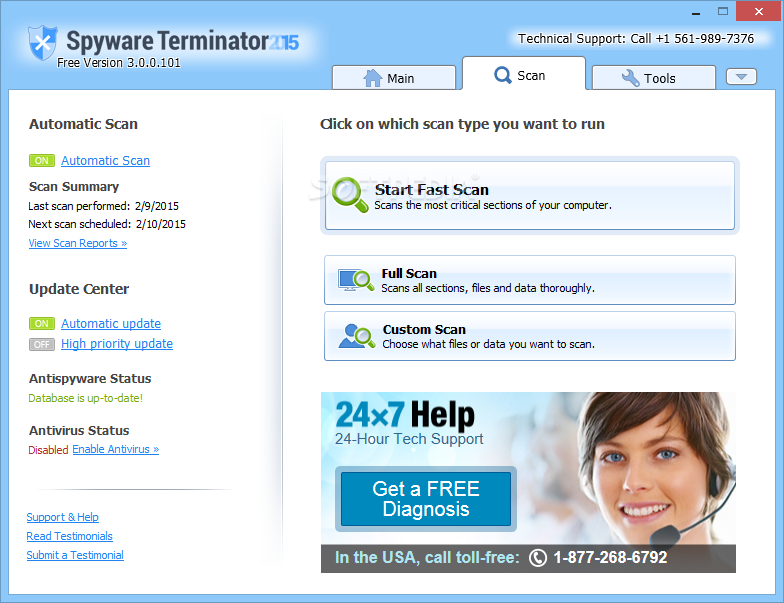 Spyware Terminator lets people of all skill levels detect and eliminate spyware. If you remove a program by mistake, you can easily put it back. Scan your computer manually or schedule an in-depth scan to be performed on a regular basis. The scan process runs in the background so that you will not be disrupted while working on other tasks. 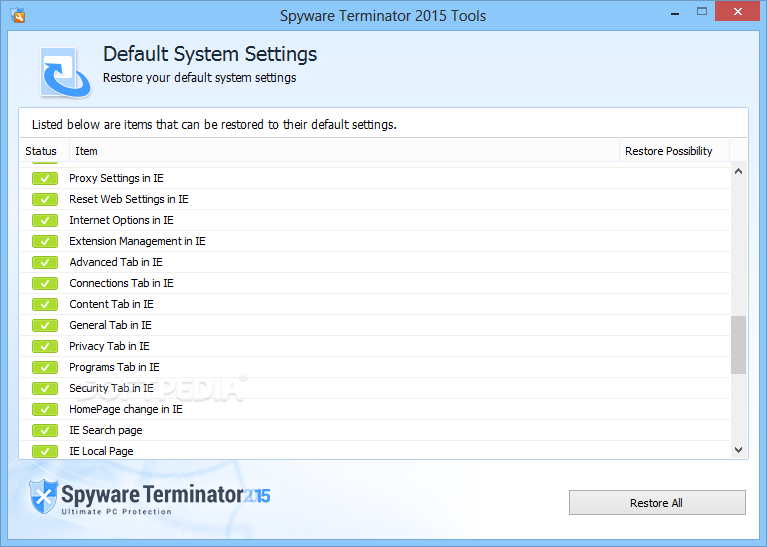 Spyware Terminator can be set to automatically download updates, ensuring the most effective protection for your computer. Super cool review! Maybe sometime Ill try the program. FINISH THE FIGHT FOR F*CK SAKE! Nice review, I might start using this. My opinion, the best Anti-Spyware program there is...it does use alot of RAM though! EDIT: Its not the Spyware Terminator but the Internet Security that comes with it that takes the RAM. just like me Cam, Malware bytes theres nothing better belive me. Make The Jump! Go For Broke!